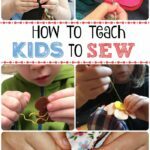 My kids are getting hooked on sewing! I am so pleased. 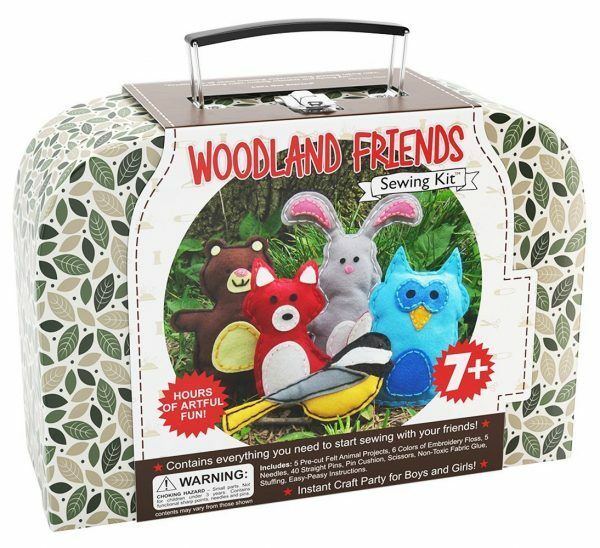 The key to teaching kids to sew, is to sew easy sewing projects for beginners with them, as well as sewing “little but often”. As mentioned, both my kids love sewing, but sewing can take “ages” and kids like to see results quickly. 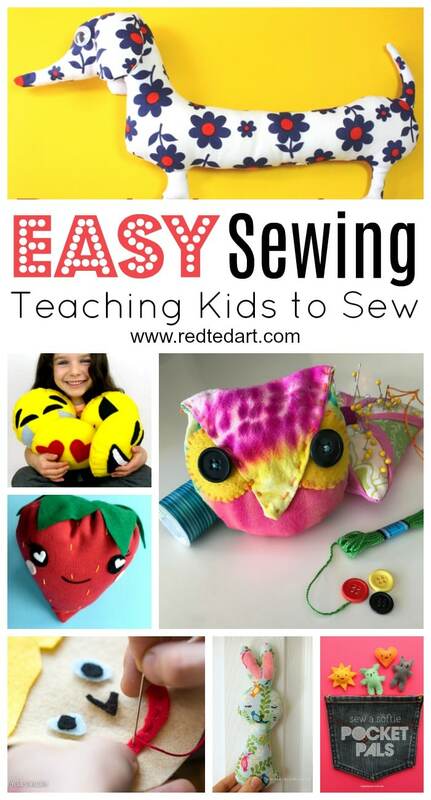 So having some great quick and easy sewing projects for kids is just perfect. 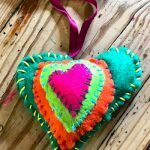 Today, I am bringing together, yet another set of fabulous easy sewing projects – though the majority are targetted at children, I think many beginner adults will enjoy making these too!!! I hope you enjoy them as much as we did. Happy Sewing! 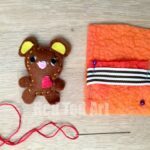 I also love Hand Made Kids’ sealife keyrings sewing project – super adorable and would make great gifts for kids to make! If you fancy something a step up – have a go at this 3D Hippo Sewing project from The Embroiderist. Be brave, you can do it. 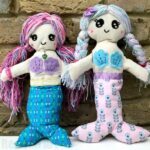 3D Sewing Projects can still be easy! Similarly Make Film Play has a fabulous Dachshund. Here are some super cute little Mouse Softies too – they make great pocket friends, don’t you think? By the lovely Rhythms of Play. How fun are these “Portrait Bags” by Make It Your Own? 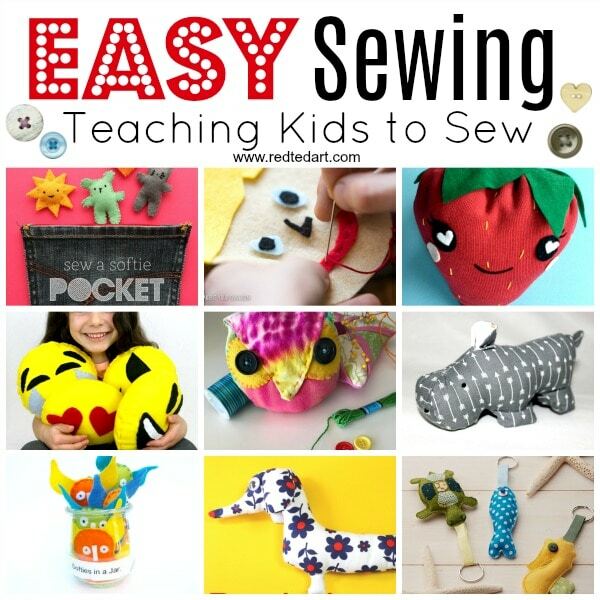 A great way to get kids REALLY excited about sewing! 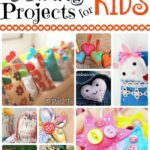 I can tell you now.. my kids will want to make ALL of these DIY Emoji Pillows by ES for Beginners – they are just too cool and make a great easy sewing project for kids. I love the combination of art and sewing in these easy arty owls by Mini Matisse. And I do adore a pocket friend. This set is just delightful by My Poppet. If you get the sewing bug and can’t stop sewing… these easy monster projects are just TOO CUTE! Make a whole set of these friendly monsters and pop them in a jar. By Sew a Softie organiser Coloured Buttons. 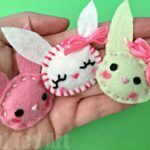 Lulu & Celeste, share a cute and easy bunny pattern for kids to sew (in fact, we have another fabulous FREE Bunny Sewing Pattern for you here). Our Daily Craft shares adorable Dino Softies made using cookie cutters as templates (cookie cutters make GREAT softie templates! We have used them in the past for these Heart Keyrings/ Heart Ornaments). 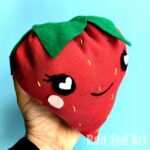 Similarly.. if you have a tea towel too many, turn them into yet more wonderful Monster softies – a fun and easy sewing porject for kids by Blue Barn Living. Love how Mama Smiles helps her kids turn their drawings into adorable Softies too! 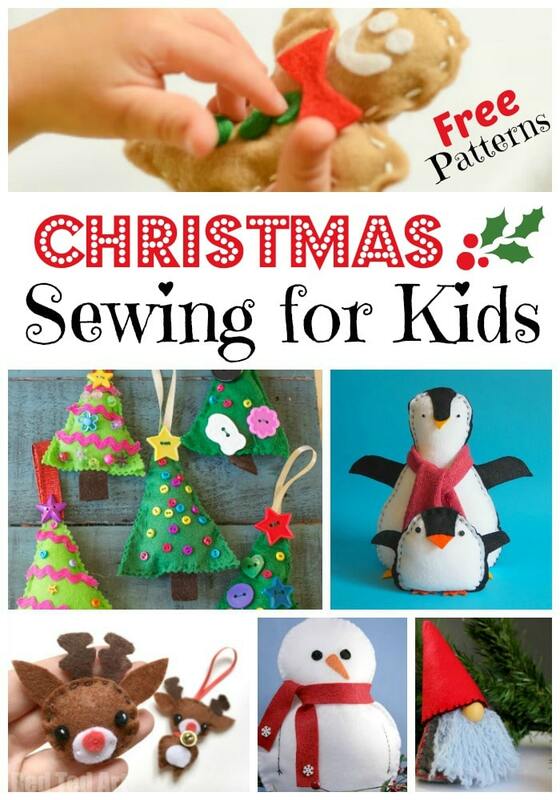 Great way to get kids into sewing and doing some fun and easy sewing projects for kdis. And finally – a nice bedtime project – make a star pillow as your easy sewing project! By Apple Green Project. 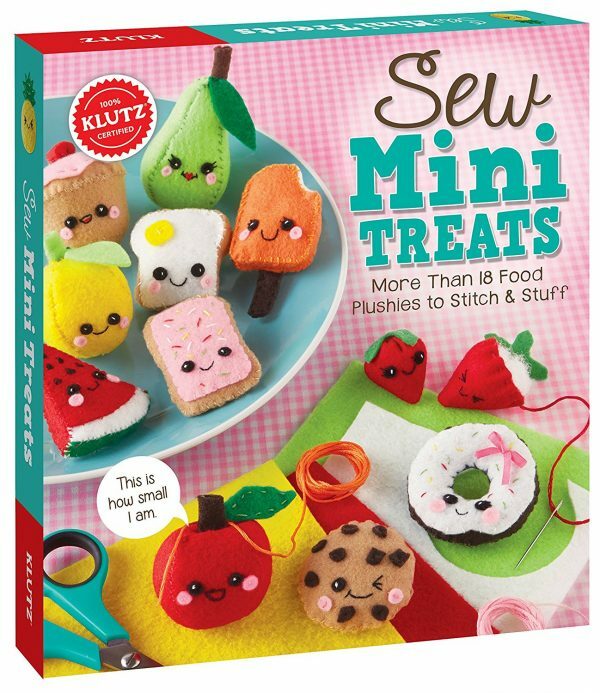 We have this Felt Fruit kit and my 7yrs old daughter loves. 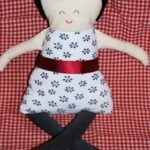 It is a bit of a “together project”, I often add the faces for her, but she does manage most of the sewing herself. Find out more here US / UK. Thanks so much for sharing all these great ideas Maggy! My daughter got a kids sewing machine for Christmas and I think I’ve been more excited to use it than her! I hope when she sees what she can make with it she’ll be a bit more enthusiastic.